Agreed Boulder there is tons of talent returning. I expected a drop off in defense with a new coordinator. But I thought we would see a progression on that side of the ball getting better as the season went on. This years personnel on defense was leaps and bounds better than any school in conference, but turn on the film and our guys looked average at best. I was expecting Miles Brown, Tyler Vaughn, Terrance Morris, Malik Rivera, Datavius Wilson to have big seasons. But it just seemed they were under utilized. I love Joe Newman and his athleticism, but don't write off Miller Mosley. I think we are going to have a competition in the offseason between these two. If a new coach comes in I think both are great options to run a RPO offense. If we stick with the Wing Option that Coach Lang has mastered, the loss of Roo Daniels, Ross Demmel, Chuck Rouse, and Jacon-Duffy concerns me. The blocking schemes for an RPO would seem simple compared to the complicated schemes that our OL at Wofford have. May be an easier transition for the underclassmen replacing those SR's. I said before this season that I would like to see a way to get both QB's on the field at the same time. Next year it would even be more fun. Miller Mosely can throw the ball, and Newman would be a threat in open spaces regardless of how we get him there. I don't know if he can catch the ball, but it would be a fun option for us. As was said earlier, we just need to use the abilities of the personnel we have. OK folks, what say ye about this pick? How long will he stay? What offensive scheme will it be? Will the recruits like this? In general, what can we expect? Personally I like the pick. A fresh set of eyes and some one with a pulse on what current offenses (UTC, Samford, Mercer,WCU, ETSU) are doing schematically. 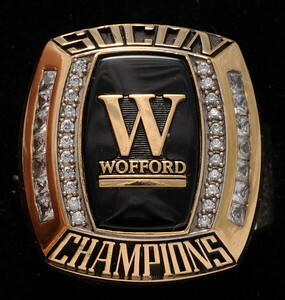 Yes we won the SoCon, but most by less than a TD. And if Wofford didn't change those schools mentioned above would surpass us because of what they are building with their Soph and Frosh QB's. We would be left in the bottom of the pack in a few years. Offensively it all depends on if Conklin want so to keep the offensive identity. If so, in my opinion, most of the offensive staff would be asked to remain. Doesn't mean they wouldn't choose to leave on their own, especially if Conklin chooses another style offense. Defensively, Conklin has run everything schematically from the Wofford 3-4, 4-3 under Narduzzi at Pitt, and the experiment with 4-2-5 at UT and FIU. So there is no telling what he will choose to implement at Wofford. As for the defensive staff in my opinion coaches Riase and Gasparato are 2 of the better recruiters we have on that side of the ball. No telling if Conklin wants to reach back to his most productive defenses at FIU to bring in someone to help implement his defense or if he feels he has enough on staff to get the job done. Hearing Gasparato to Appy and Riase to GT... Hearing, not confirmed. Hate losing them both especially Riase. Anybody know how we acces the press conference online today? power failure in the press room 5 minutes prior to announcement...via twitter. Very impressive IMHO. When I first heard that he was selected as HC I knew very little about him. But since then my impression of him has increased by everything that I have read and viewed. I am excited that he is our new HC. Add this to the introduction today.